Wenn man beim Denken gewohnte Vorstellungen und gesichertes Terrain verlasse, gehe es zu “bösen Häusern“. Das steht bei Hegel. allzu ambitionierte Projekte und mischen sich mitsamt ihrer Umgebung in deine Arbeit ein. “Wicked houses” have history, cool floors, room for ghosts and large assemblies of guests. They passively resist overly ambitious projects. Bringing their surroundings with them, they intrude in your work. Von den Rändern einer Kieshalde her kommend, geht die Fahrt durch Gänge und Schächte. An Mauern, Nischen, Kantenentlang. Nahtlos, unaufhaltsam und ohne die Logik der Raumfolge preiszugeben, insistiert die Kamera darauf, den Rohbau als Bild zu fassen. Das nie vollendete Kernkraftwerk im Niemandsland ist gezeichnet von Wasser, trägt Spuren von Rost, trotzt stählern im Tageslicht der Verwitterung. Die reglose Industrieruine lässt jede Bewegung, jeden Laut zur Sensation werden: Stimmen aus der bewohnten Nachbarschaft, raschelndes Fallen unbeschriebener Blätter, Regen, rhythmisches Hämmern an einer perforierten Wand. Beginning on the outskirts of a gravel dump, the journey continues through corridors and shaftways, along walls, alcoves, edges. Seamless, inexorable, without revealing the logic of the sequence of spaces, the camera insists on conceiving the building’s raw structure as an image. The never completed nuclear power station in a no-man’s land is scarred by water, bears traces of rust, defies in broad daylight the effects of weathering. The lifeless industrial ruin makes every movement, every sound into a sensation: voices from a nearby residential neighborhood, rustling of blank pages as they fall, rain, rhythmic hammering on a perforated wall. 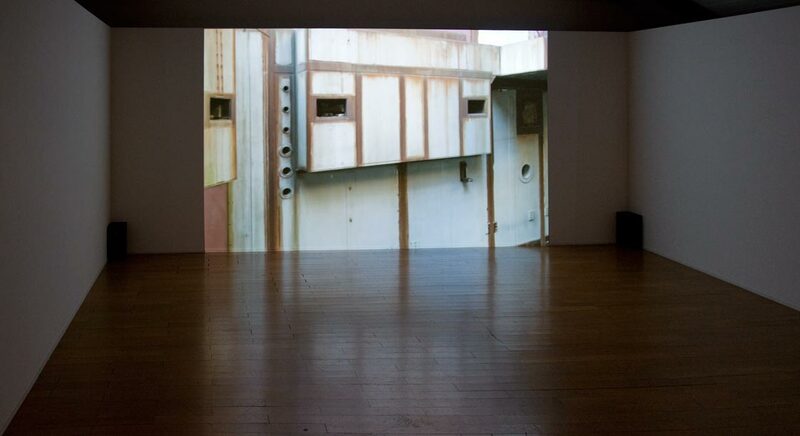 The views and panoramas in Monika Rechsteiner’s film essay are durational. The ongoing progression of images achieves much more than the documentation of failed energy politics. The monument becomes a resonating chamber, an architecture of contemplation: in the internal monologue, an I confronts the challenge of creative work. 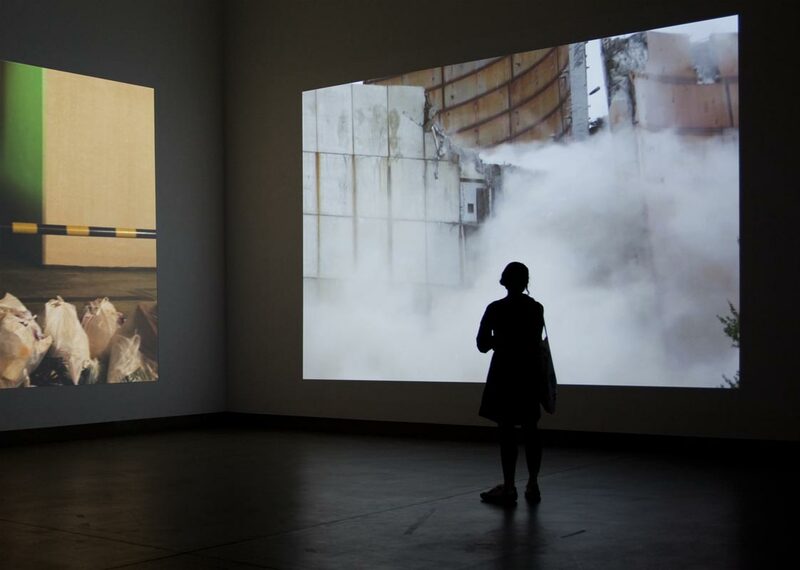 It balances assiduous activity and cautious questioning, becomes caught up in fragments of memory, launches into fiction, discovers art in the productive relationship between concrete observation and internal echo. den Raum im wörtlichen Sinne.